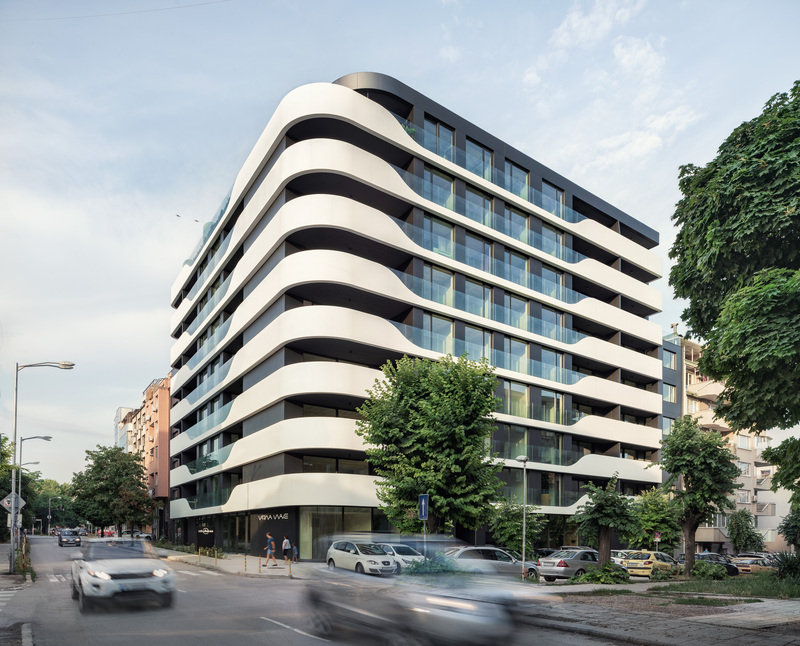 Varna Wave is a stylish residential building, situated in the central part of Varna at the intersection of Makedonia str and General Kolev blvd. 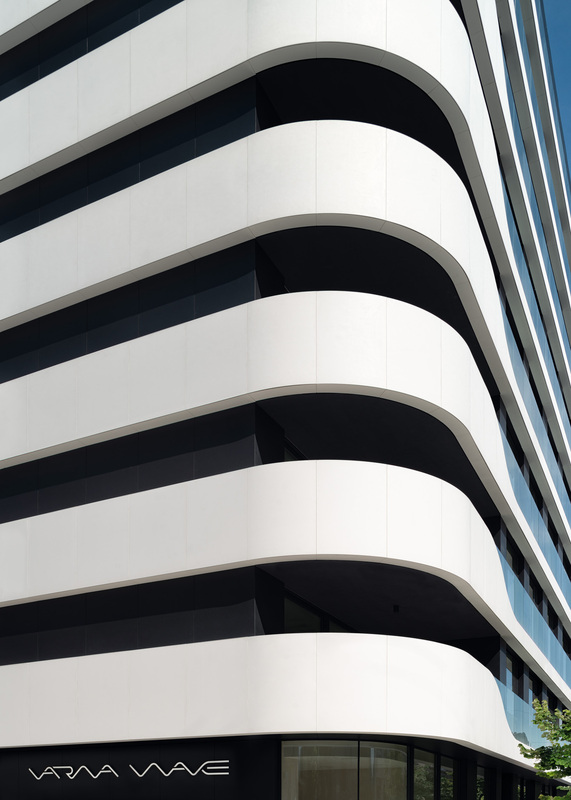 The design of the building is inspired by the movement of the sea waves. 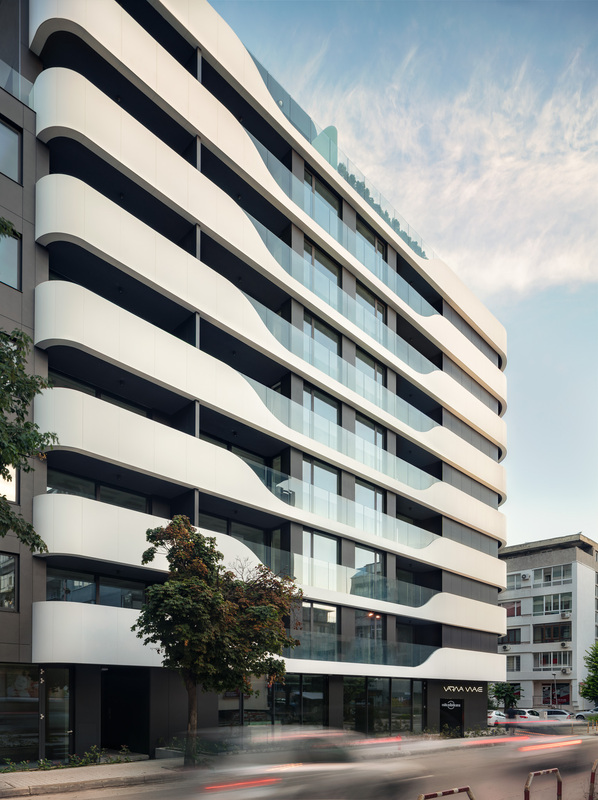 The “wave” effect of the fasade is achieved by using two different materials - Corian and glass. 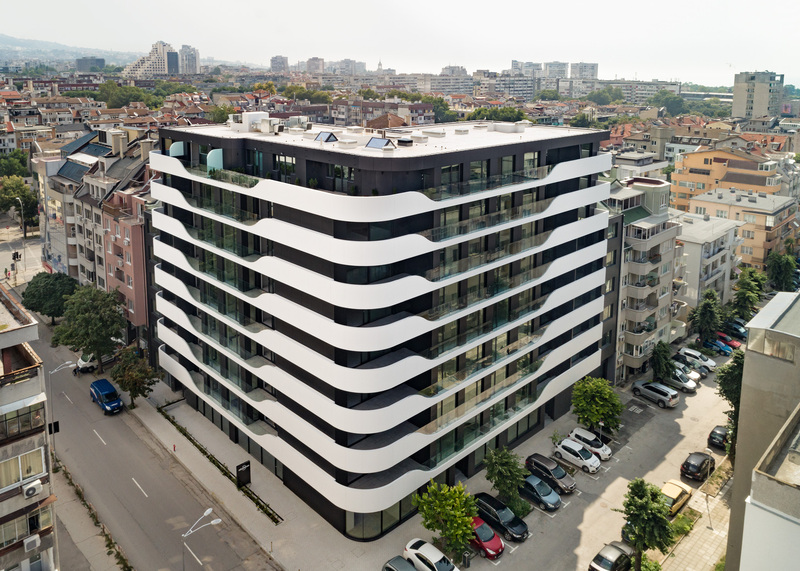 The loggias of the building are designed in graphite dark color thus creating an additional effect and outlining the elegant feeling of the white horizontal elements. 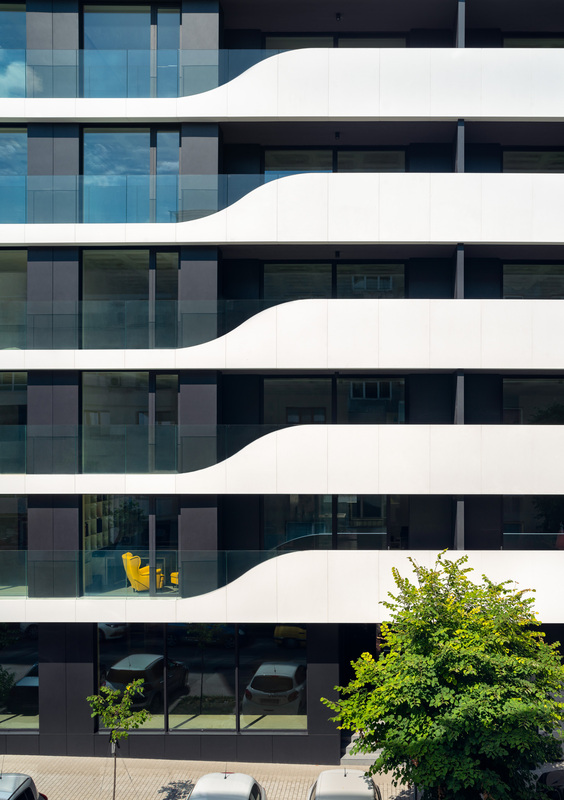 The oval form of the corners softens the overall feeling of the building giving it an elegant and subtle look. 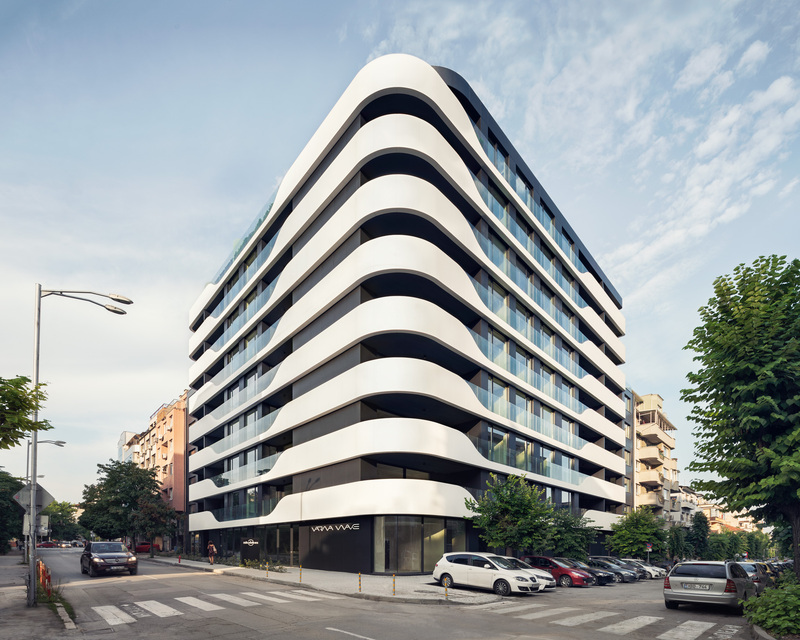 The building has eleven stories, two of them are planned underground serving as an underground parking area. The ground floor is occupied by shopping stores. 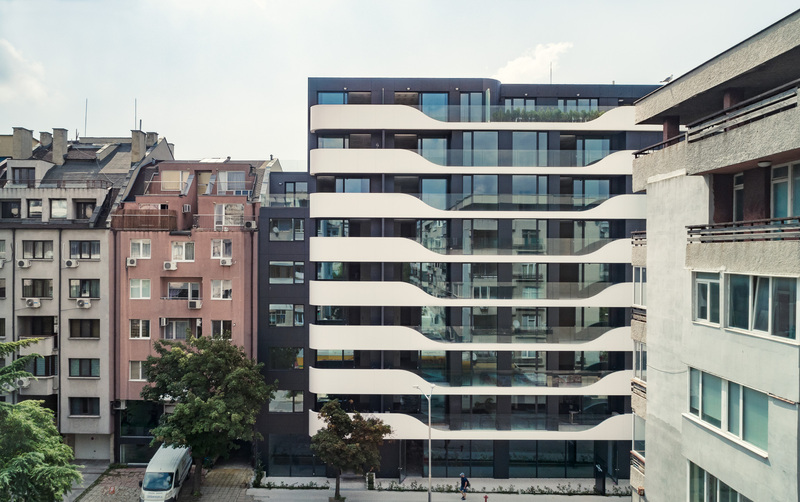 The next eight floors are residential, separated in three sections with two apartments on each floor. 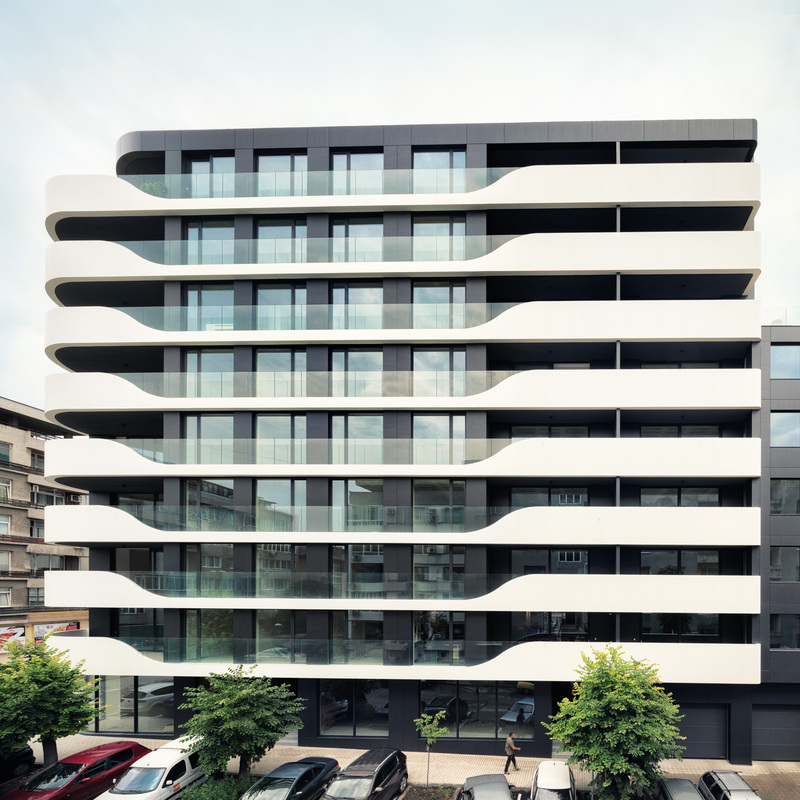 All of the 47 apartments of the building have a clean and orthogonal floor plan creating a maximum level of comfort. The sliding glass doors of the loggias give an extra opportunity to combine both spaces- the one of the living room and the one of the loggias into one and thus opening the room to the environment. 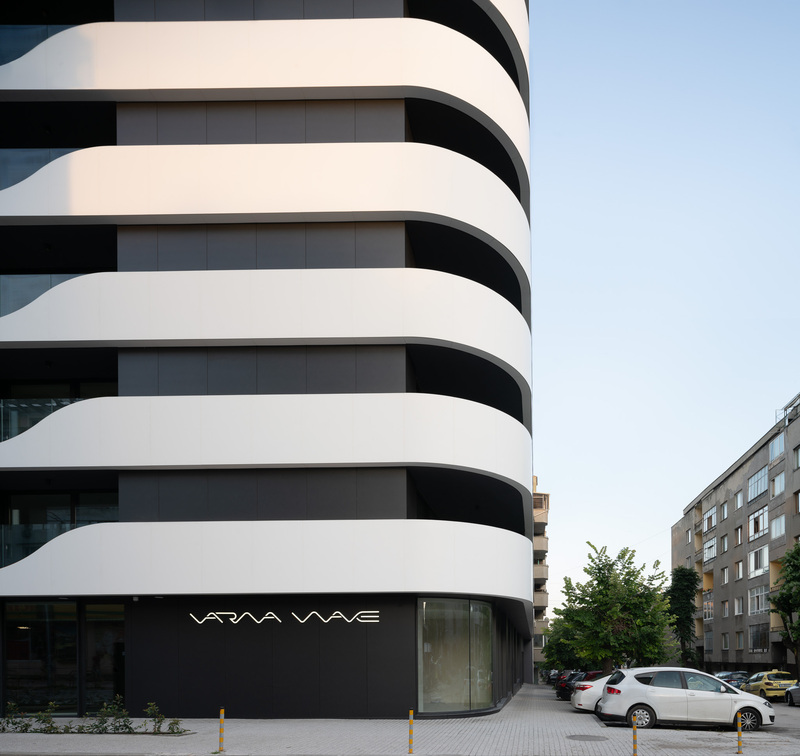 Varna Wave is designed as a monolithic reinforced concrete construction according the newest unified European eurocodes. 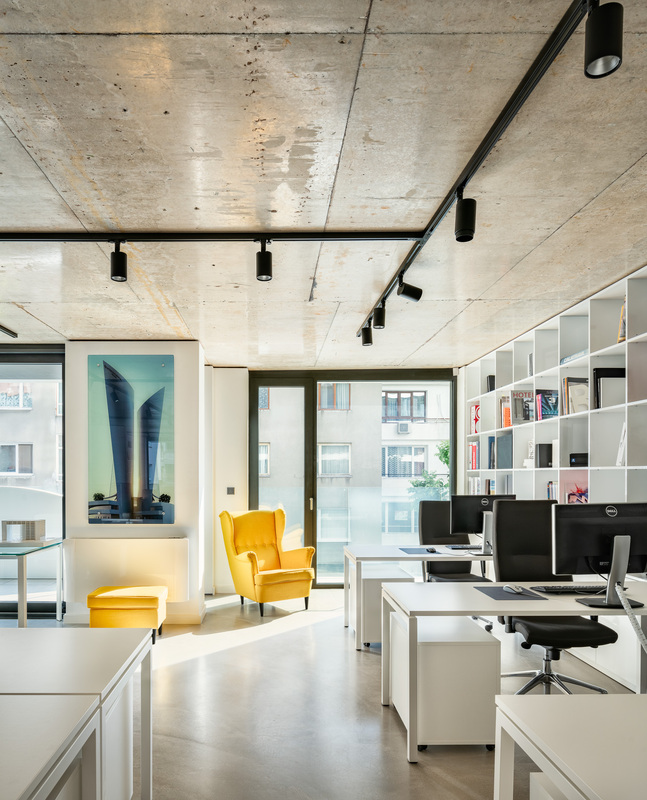 The floor slabs are 25 centimeters thick, which provides better sound insulation between the floors. 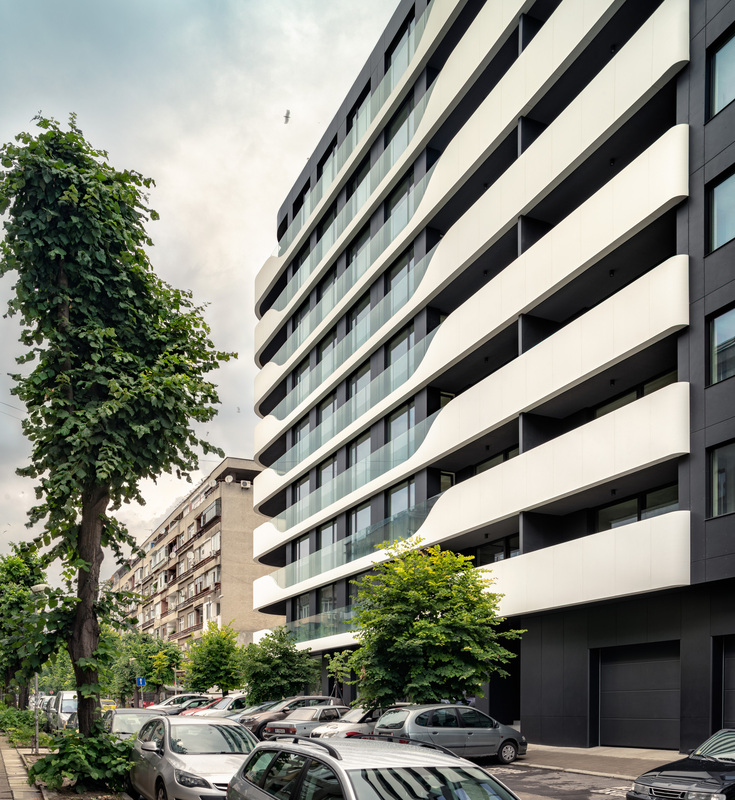 All of the columns are placed in the walls between the apartments which creates an additional flexibility for different floor plan arrangements. 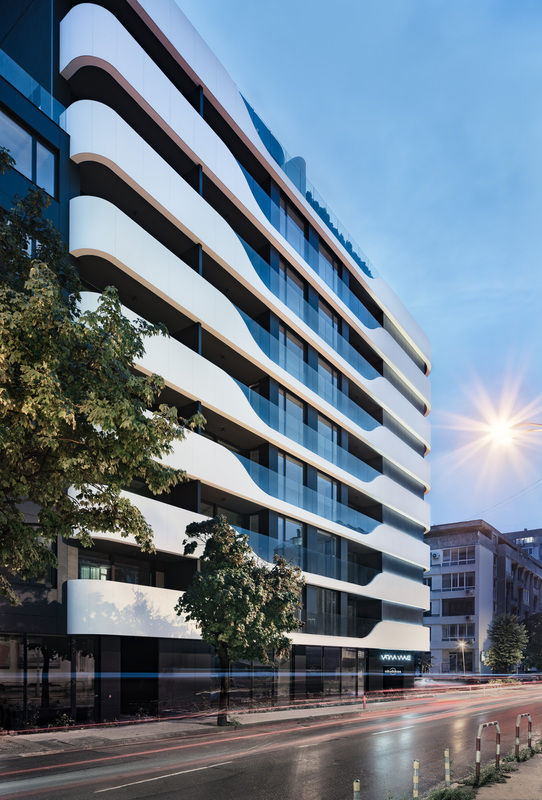 The contemporary look of Varna Wave is further outlined by the used materials of the fasade– Corian, fiber reinforced cement Swisspearl, glass and aluminium. 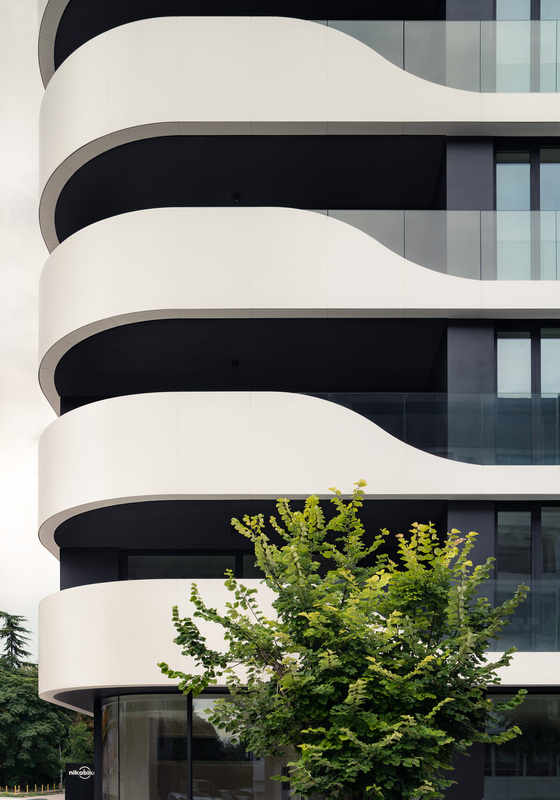 Corian is an innovative material with extraordinary ability to adopt forms when subjected to heat, thus giving an opportunity for creating compound free forms. 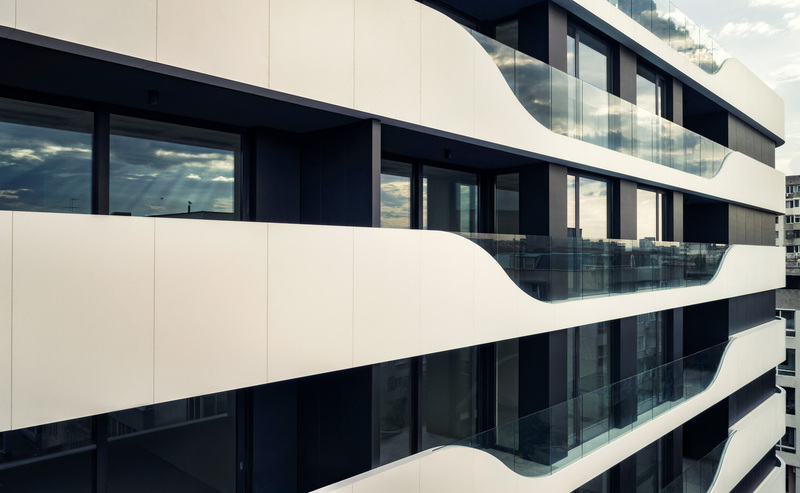 Used as a ventilated fasade, Corian increases the energy efficiency of the building offering also high moisture resistance.